Visit Mark Holland’s Food Stuff website at www.foodstuff.com.au for details on his cooking classes, function services and lots more. 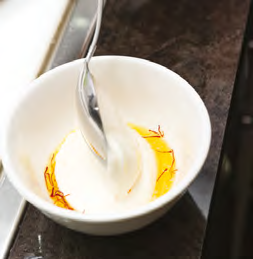 To make the saffron mayo, add a few strands of saffron to a small bowl and the water. 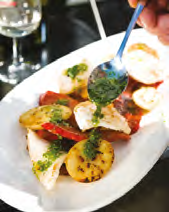 Allow it to infuse for two to three minutes to extract the flavour and colour. To the liquid add two large tablespoons of mayo and stir to combine. Set it aside. 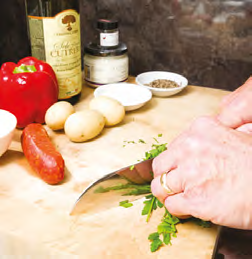 To make the parsley oil, mix the ingredients together in a bowl and set aside. 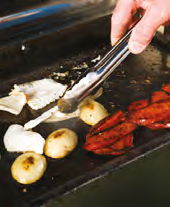 Fire up the barbeque to a medium to high temperature. Season and oil the squid, chorizo, capsicum and potato with salt and pepper. Begin cooking the capsicum fi rst, as this takes the longest to cook. 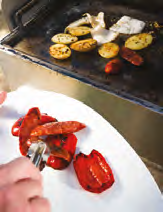 As the capsicum starts to soften, add the potatoes and chorizo, browning both sides. Turn the ingredients as required. Once the potatoes, chorizo and capsicum are cooked and browned, fi nally add the squid. This will take only a minute or so to cook. 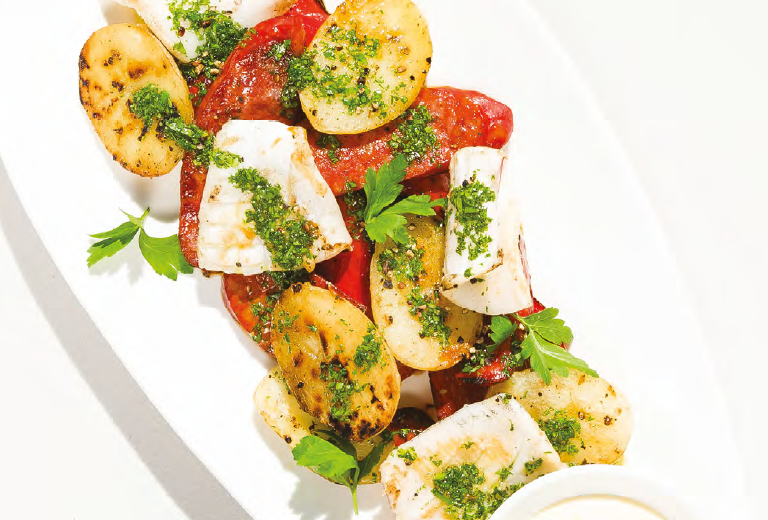 with parsley oil, garnish with fresh parsley and serve it all with the saffron mayonnaise.